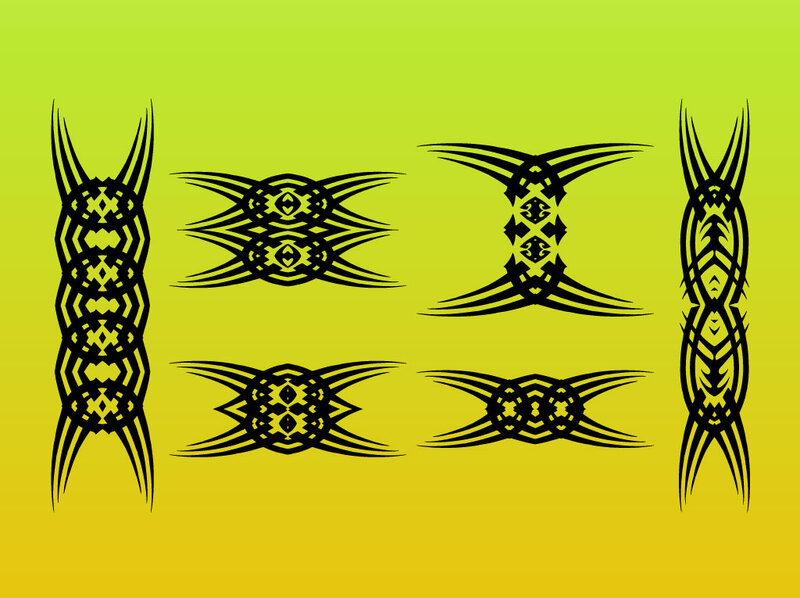 Cool tattoo vectors pack. Tribal bands have been popular designs for tattoos in contemporary society for decades. This free vector download comes with six different band graphics. Comes with a green and yellow gradient background image. Great vectors for your tattoo inspiration and cut vinyl vehicle graphics. Tags: Car Graphics, Celtic, Decal, Ink, Print, Raw, Stylized, Tattoos, Tribe, Vinyl.